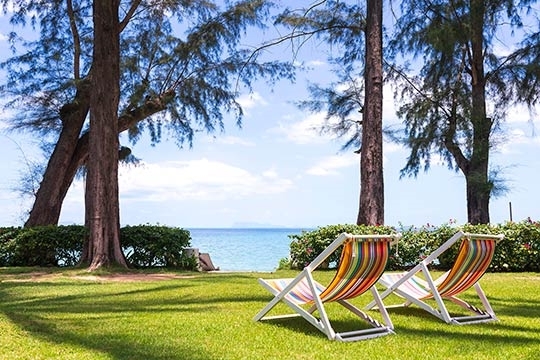 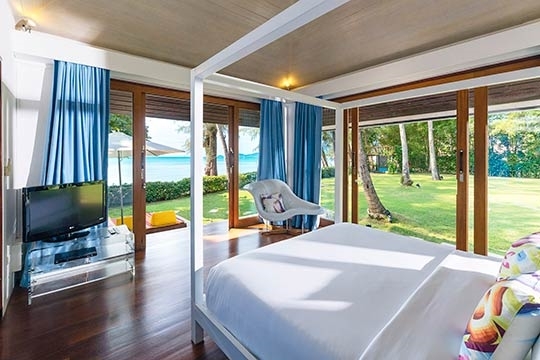 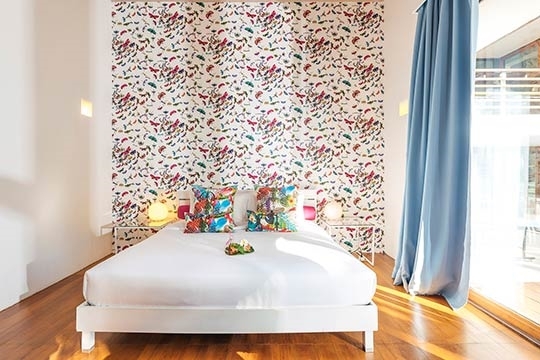 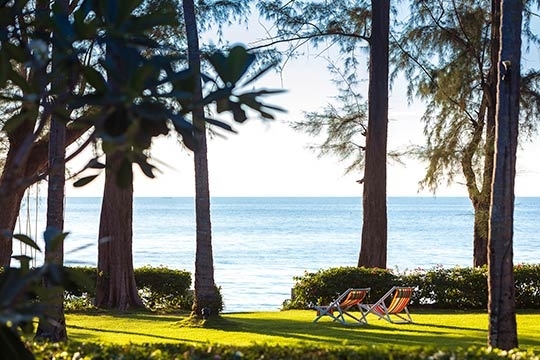 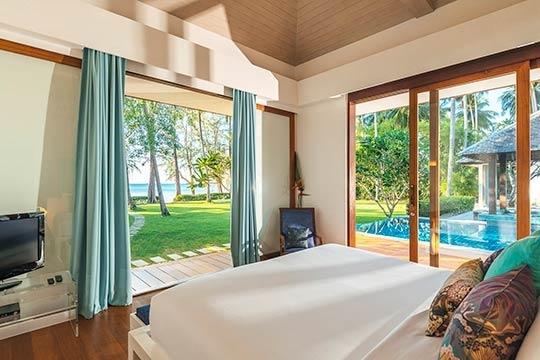 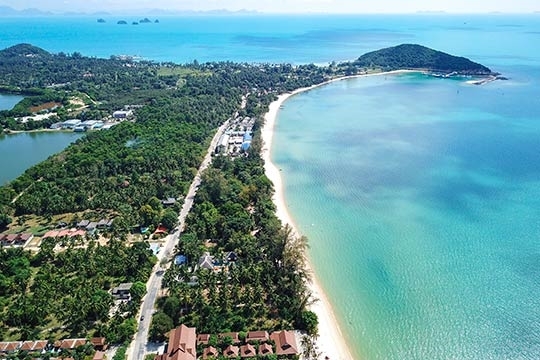 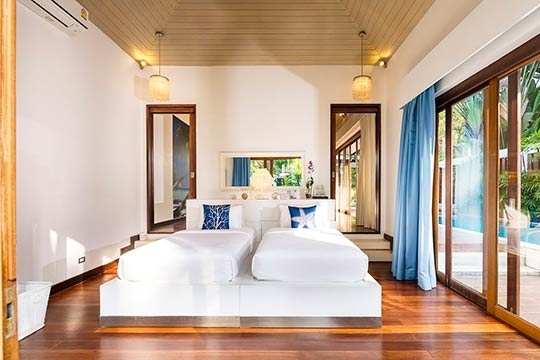 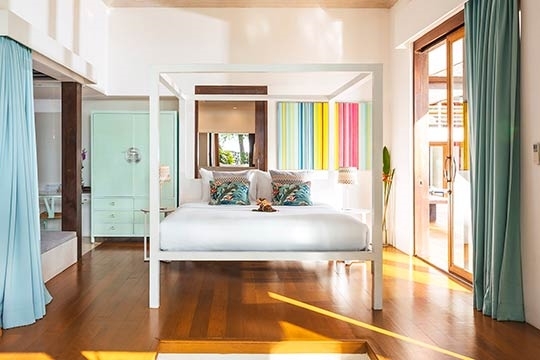 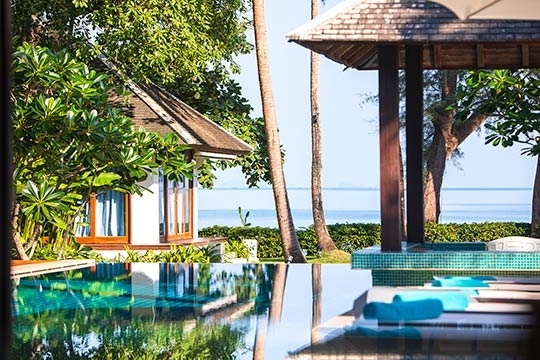 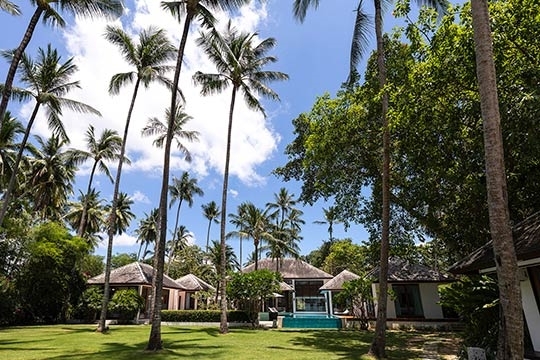 Dreaming next to the soft sand of Samui island's serene Lipa Noi beach, Ban Suriya is the ultimate absolute beachfront getaway, with sparkling views out across islands and on, to the sunset. 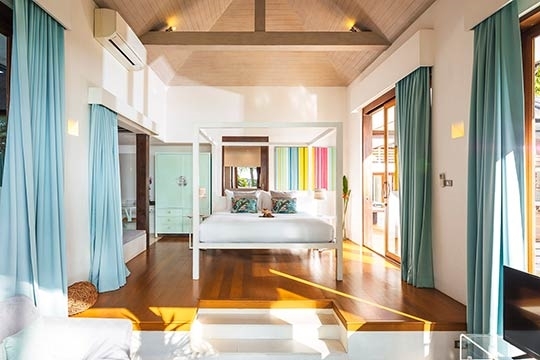 With six spacious bedrooms that can sleep up to 15 people in comfort, this is the ideal family retreat or friends reunion venue. 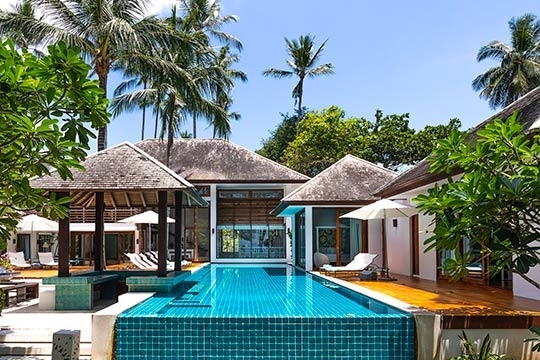 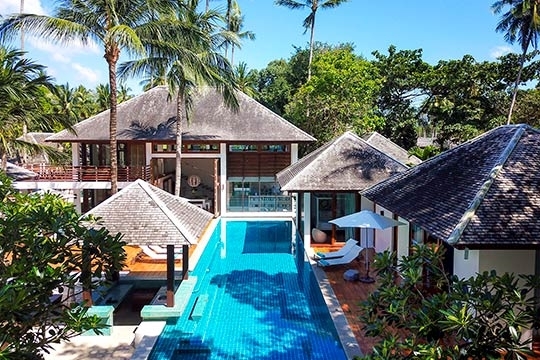 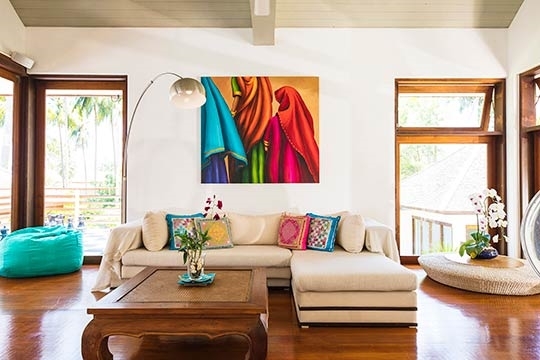 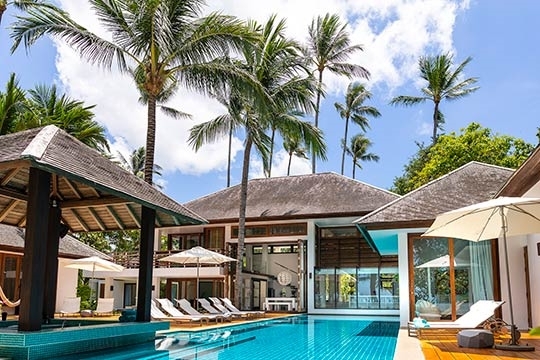 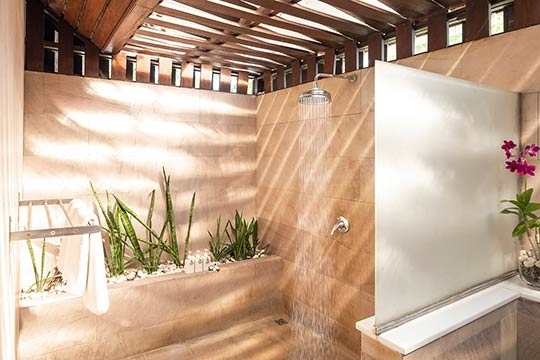 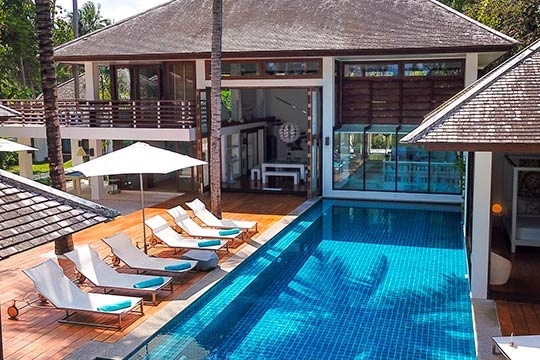 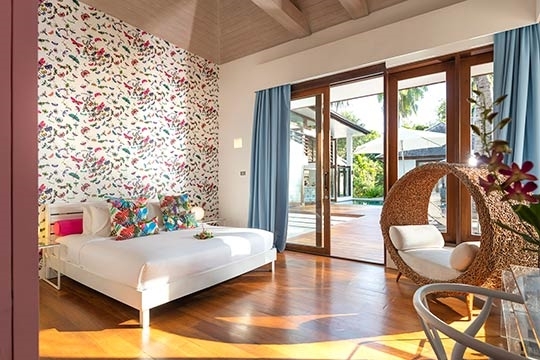 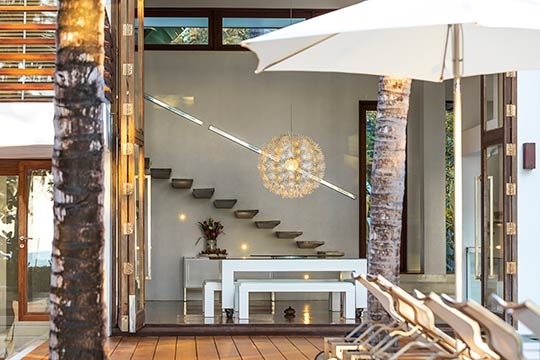 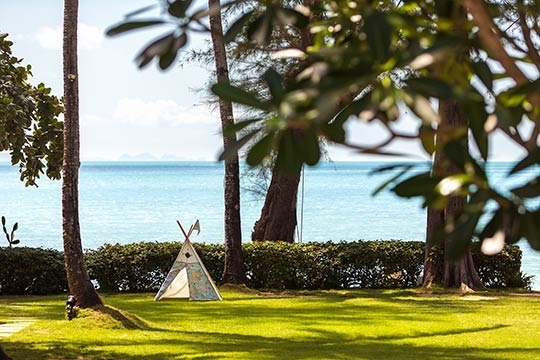 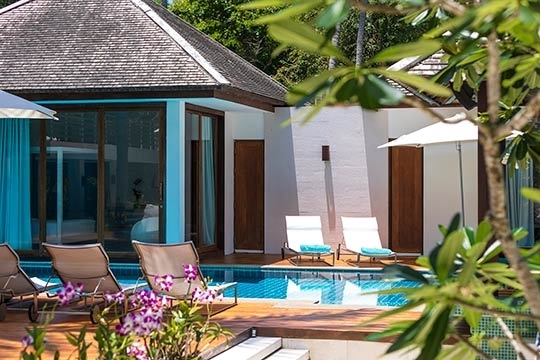 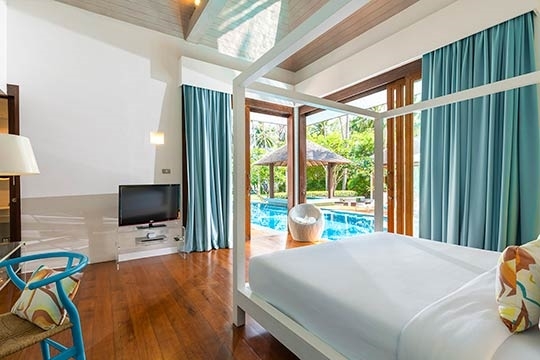 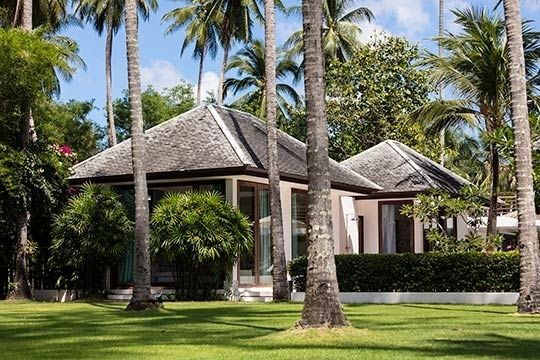 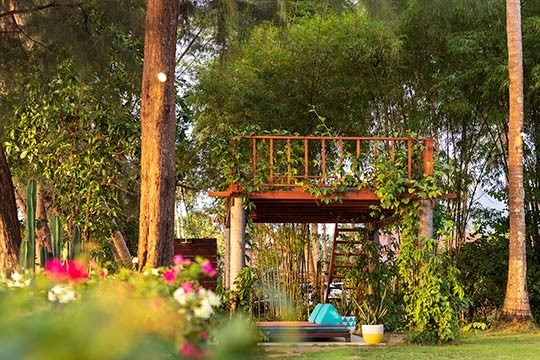 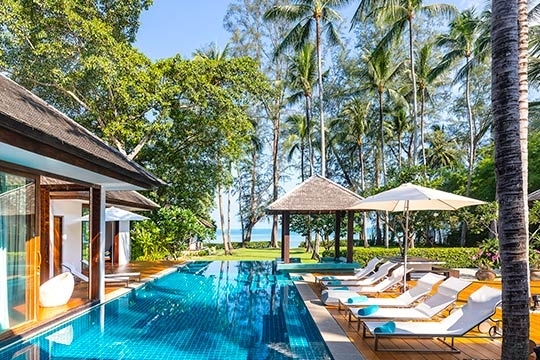 Arranged around a shady garden, huge deck (ideal for wedding parties) and 20-metre pool, this Samui villa has it all: hyper-efficient staff of seven, personal chef, five-star cuisine, a spa room, a tree house for massages, and all the entertainment you can devour. 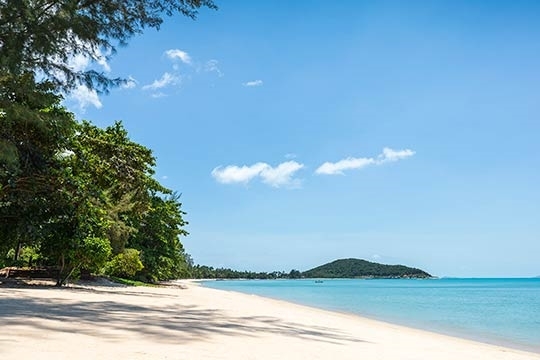 Lipa Noi Beach, west coast, Koh Samui, Thailand. 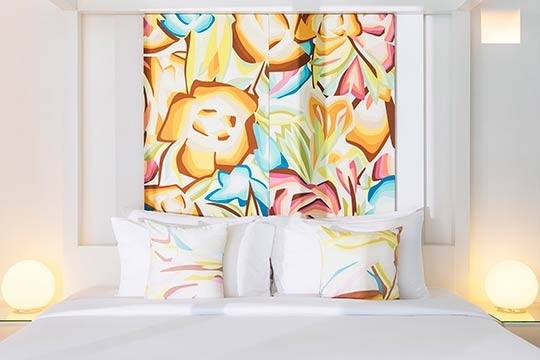 16 guests: 12 adults and 4 kids (6 ensuite bedrooms: five with king-sized bed and one twin bedded room; two rollaway beds and two trundle beds are available for four kids at no extra cost). 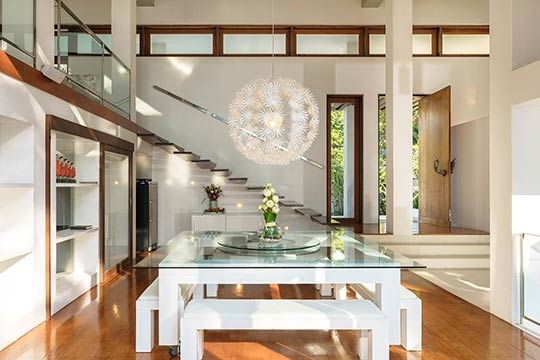 Living and dining room; two lounges; modern open kitchen with breakfast bar; video and games room; computer room; pool deck with swim-up bar; massage tree house. 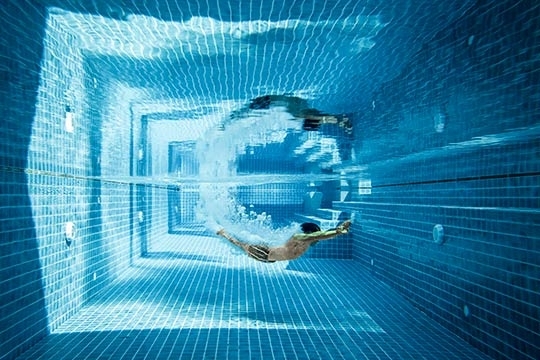 Main pool 20m x 5m x 2m; second pool 8m x 3m. 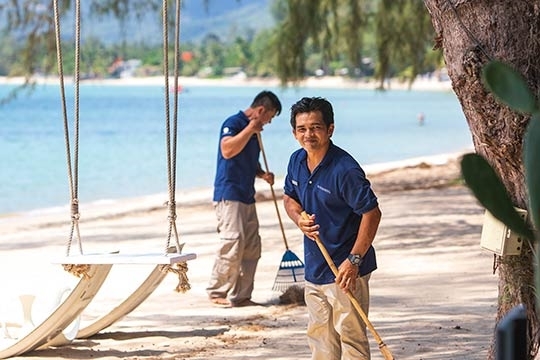 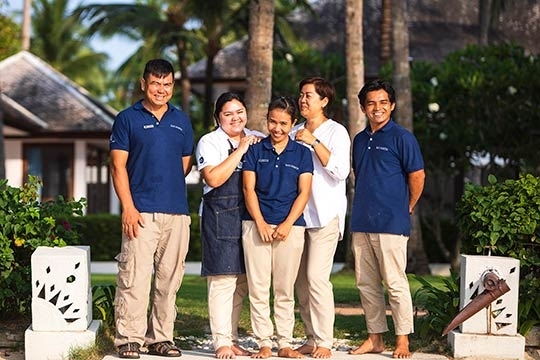 Villa manager; chef; housekeeping and service staff; 24-hour security. 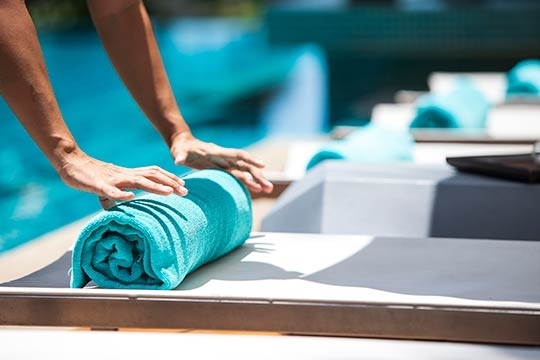 Additional staff (nanny/babysitter, masseuse, pilates/muay Thai instructor) available on request for extra charge. 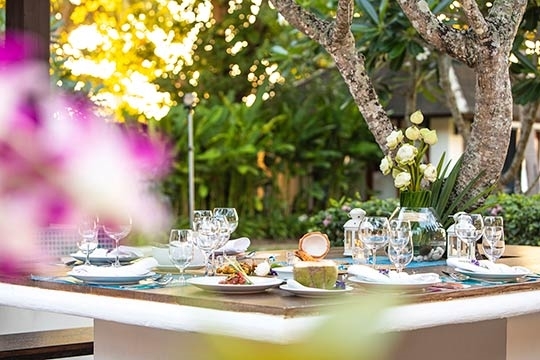 Ban Suriya’s chef is expert at both Thai and Western cuisines. 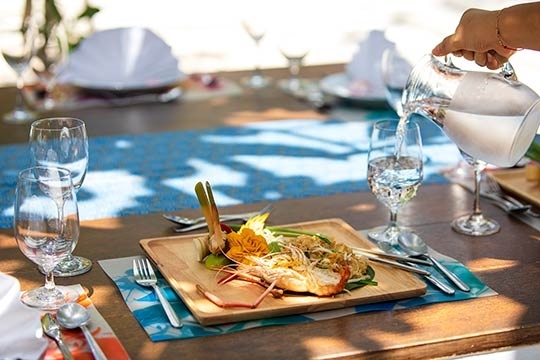 Guest requests are accommodated as far as possible (including special diets). 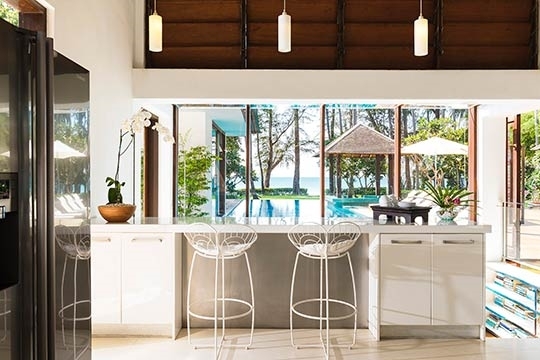 Groceries are charged 20% handling fee which is subject to 7% government tax. 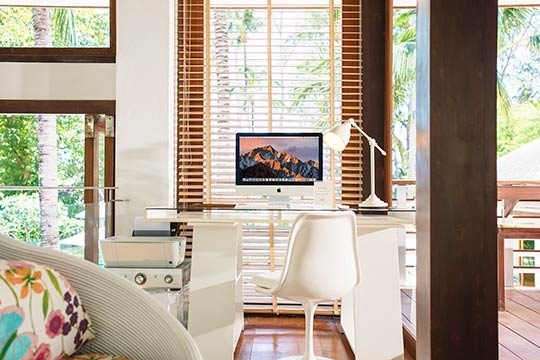 Complimentary WiFi in all areas, reaching onto the beach. 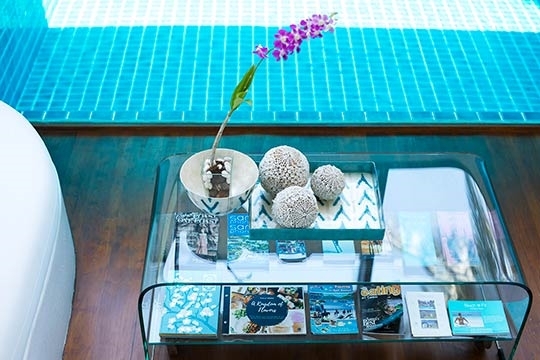 Complimentary mobile phone for guest use on local calls. 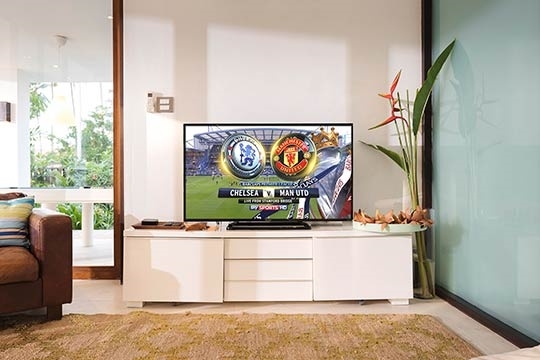 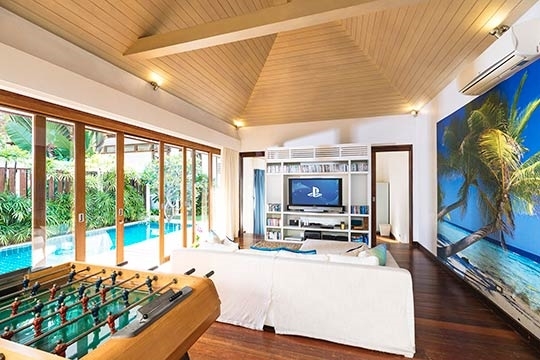 Open air cinema; satellite TV; Blu-Ray and DVD players with selection of hundreds of discs; Apple TV 4K (for use on guests’ own account) PS2; Wii; library of about 300 books; iPod dock; Bluetooth speakers in all rooms; pool table; giant chess board; table tennis; foosball table; two canoes and a stand-up paddleboard. 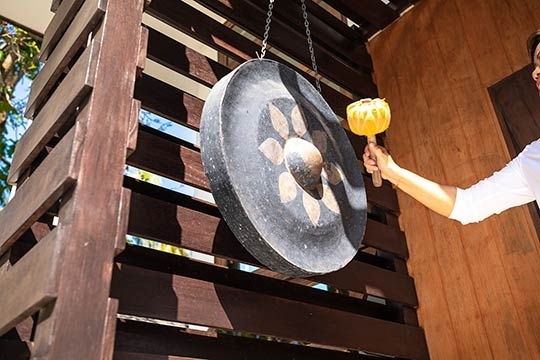 For parties, magicians, Thai dancers, cabaret acts and more can be arranged. 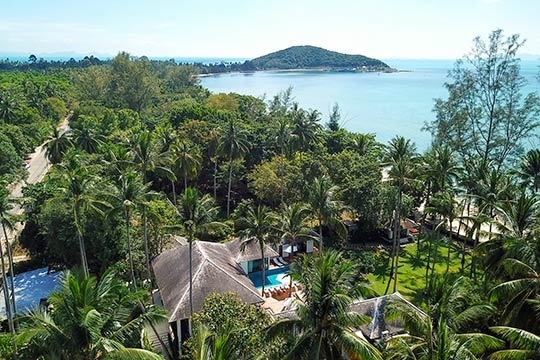 Ban Suriya is extremely well-equipped and located for families with children of all ages. 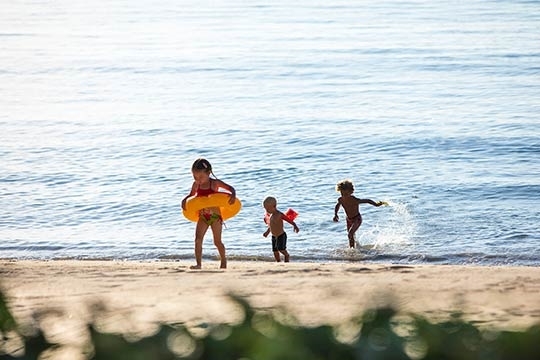 Facilities include: pool toys; beach toys; beach swing; high chairs; baby cots; bottle steriliser and children’s DVDs. 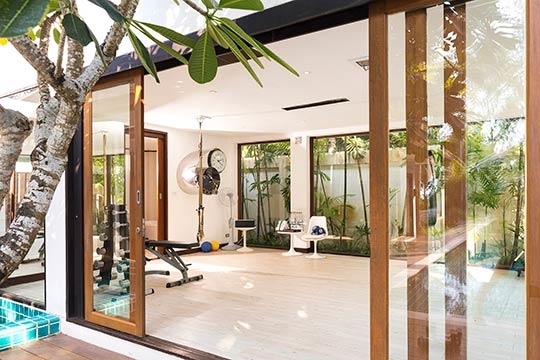 Ban Suriya has its own private gym with primary exercise equipment. 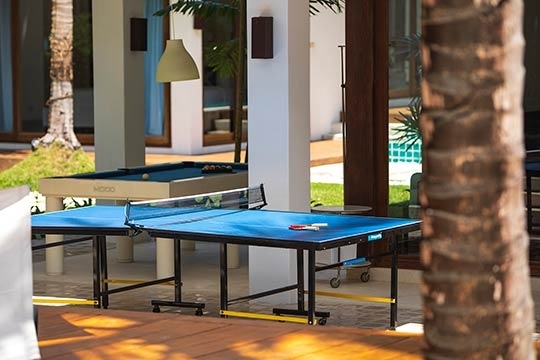 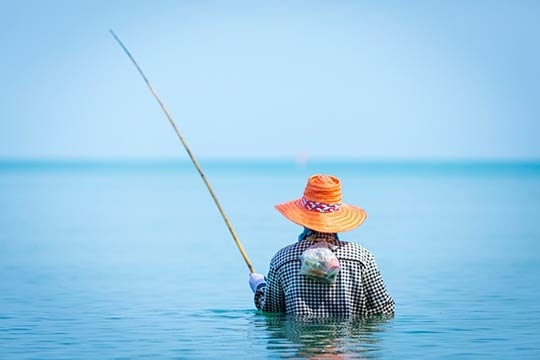 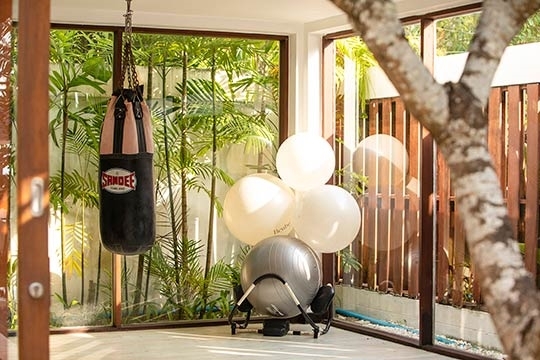 Alternatively, guests can go to the nearby Chai Talay Gym (open from 7am to 7pm), at a special rate of THB 500++/day or THB2,000++/week, for a more comprehensive physical workout. 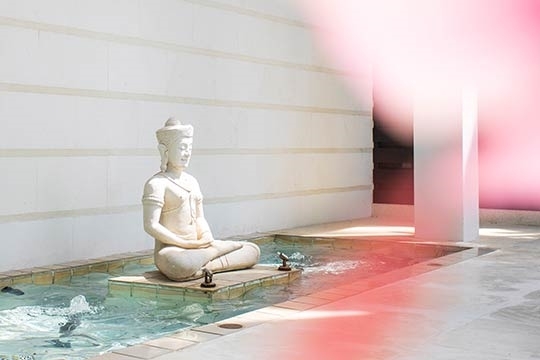 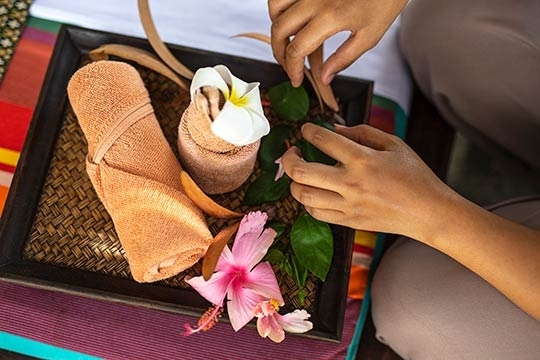 Spa treatments selected from a comprehensive menu can be carried out by professional beauty therapists (extra cost applies) in the villa’s private massage room. 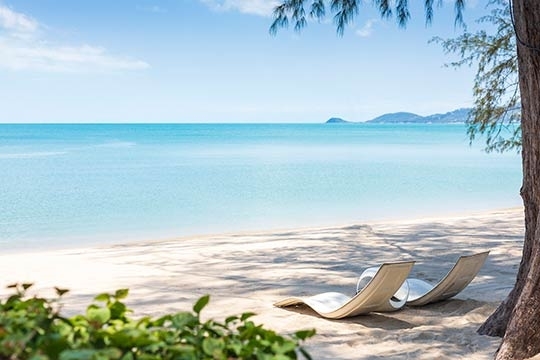 Complimentary one roundtrip airport transfer. 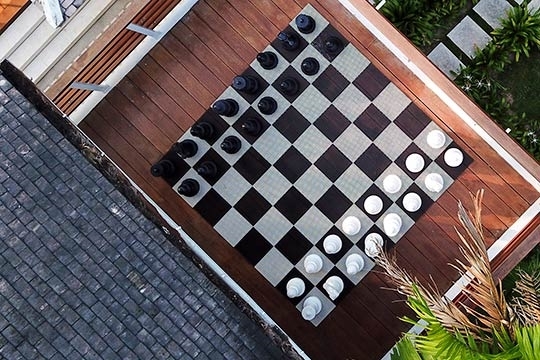 Events for up to 120 guests can be arranged at Ban Suriya with prior notice (event fee applies). 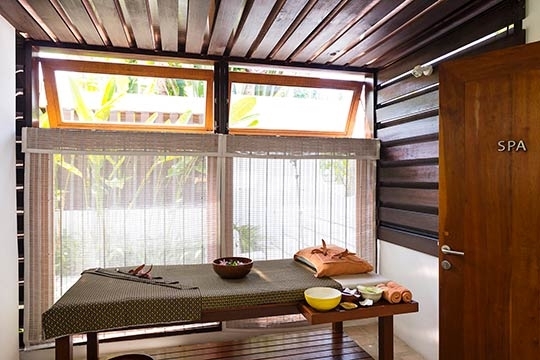 Massage beds; barbecue; safes in all bedrooms.